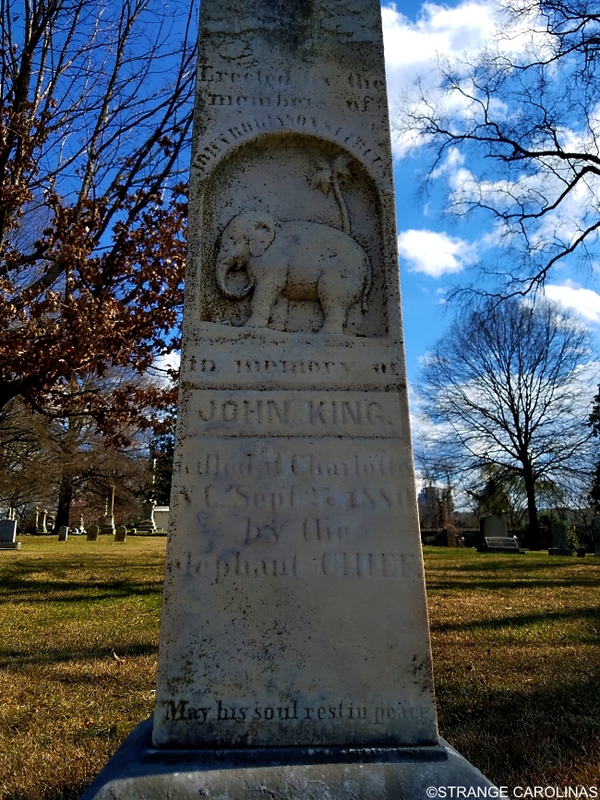 Elmwood-Pinewood Cemetery is the largest in Mecklenberg County, but its most famous resident is probably John King, who was buried there in 1880. 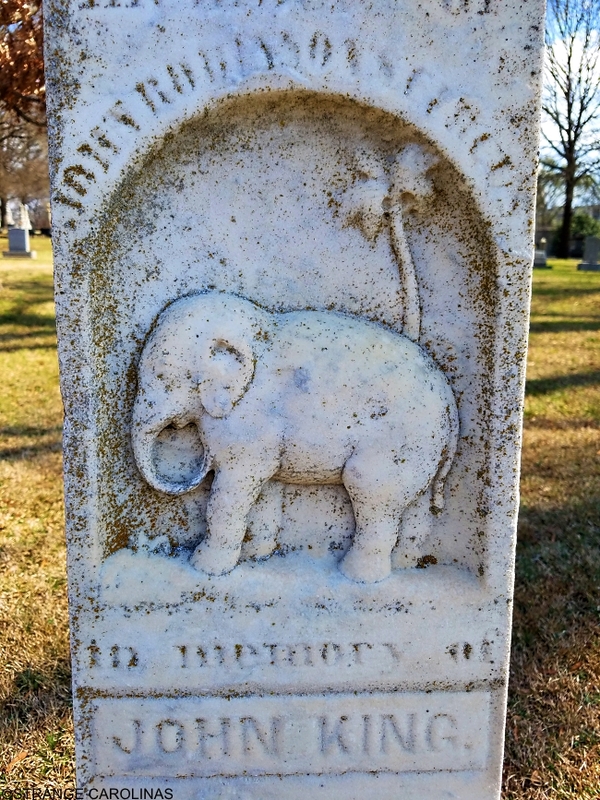 King was the elephant tamer for the John Robinson Circus. On September 27, 1880, the circus arrived in Charlotte. It was then that Chief, the circus's large male elephant, crushed King inside the cage. 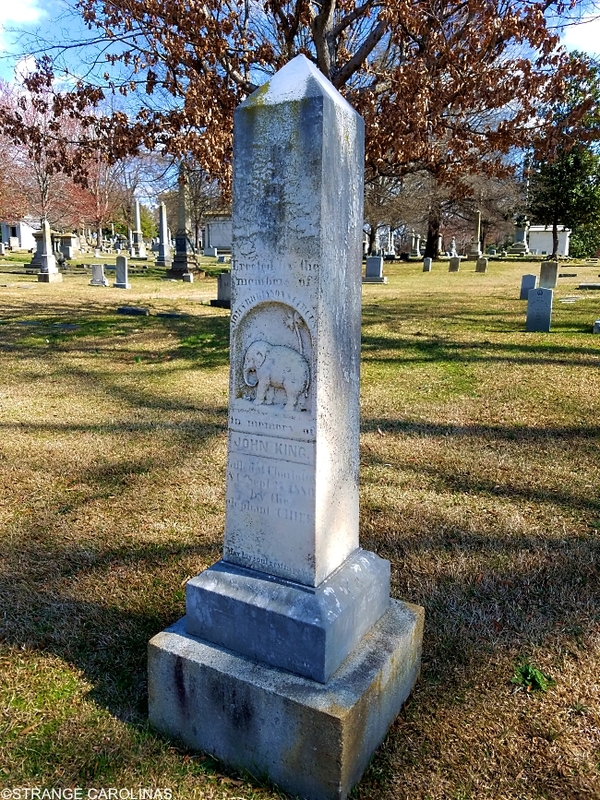 King died the next day and an obelisk, with Chief's name and an elephant both carved into it, was erected in his honor.